and welcome to Daisy Lane Floral Design. 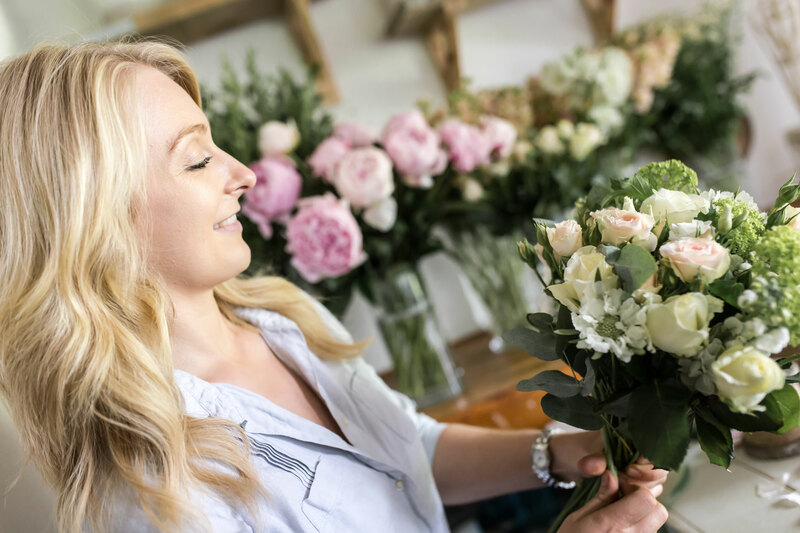 I’m Emily, an award-winning wedding and event florist providing exquisite blooms for stylish occasions throughout Bristol, Bath, Gloucestershire, Somerset and the Cotswolds. Tucked away on the outskirts of Clevedon and surrounded by beautiful countryside, I work from a busy studio housed in the outbuildings of a 17th century Somerset ‘long farm’. Floristry is my passion and I adore what I do. When it comes to elegant weddings and events, I believe flowers are everything. In the right hands, they have the ability to transform your chosen venue, adding incredible fragrance, colour and texture. Much more than a finishing touch, they’re the perfect foundation for occasions you want to remember forever. I first fell in love with floristry one Mothering Sunday while arranging flowers to decorate my parents’ pub. Working busily at the kitchen table, I knew I’d found an ideal outlet for my creativity. Determined to spend my days surrounded by flowers, I threw myself into formal training and spent the next few years gaining experience and perfecting my skills. For me, there’s nothing more rewarding than being part of someone’s wedding day. Established in 2013, Daisy Lane Floral Design has provided beautiful wedding flowers for numerous couples. With an emphasis on personal service and attention to detail, each new commission leaves me buzzing with excitement. Whether you have a clear vision for your celebration or would like some guidance and advice, I’m committed to helping you create a memorable event filled with incredible flowers. Music is my other great passion, so you’ll find the radio is always on while I’m working. My taste is fairly eclectic and I love going to all sorts of gigs and festivals with my friends and family. 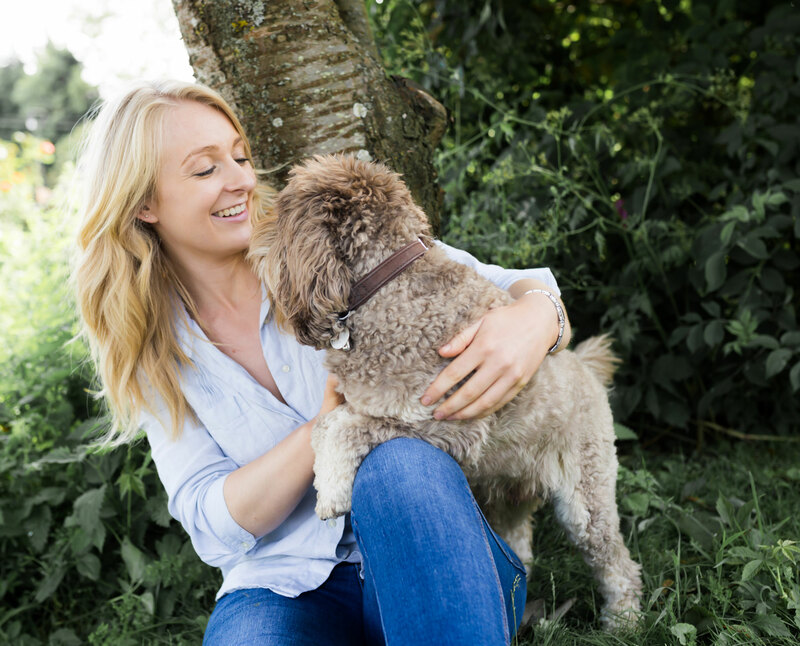 Flowers keep me very busy indeed and I wouldn’t want it any other way, but when I’m not at my workbench I’m happiest walking through the countryside with my beloved dog and studio companion, Kevin.